Like many other people I know, one of the things on my ‘bucket list’ is to ‘see‘ the world or as they say in my mother-tongue, ‘duniya dekhni hai‘! People like to do different things when they travel – while there are some travellers who like to just explore the place by walking around, or through food and wine, breathe in the culture through the local music and dance, the art and craft and then there are those who just like to shop! 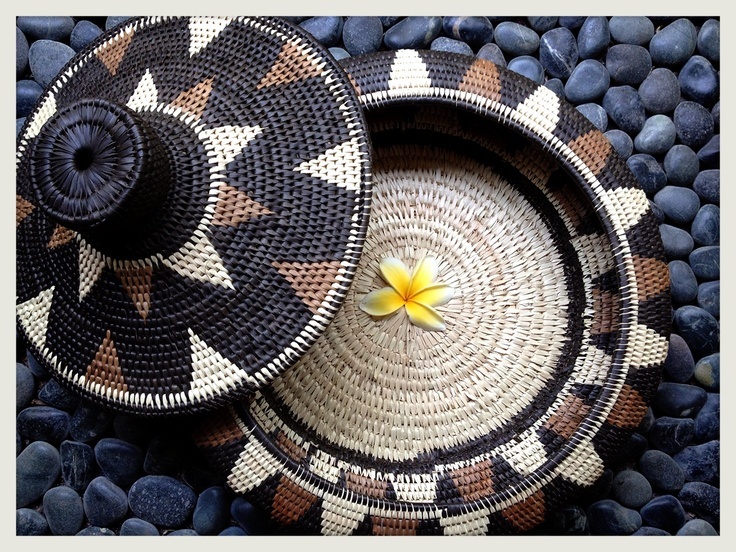 Most people I know fit into a category between these two extremes – explore the local culture and definitely shop! 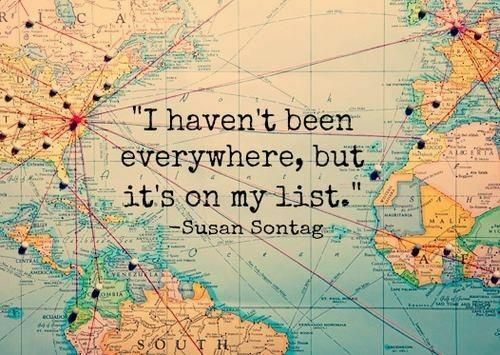 Travel helps you discover yourself, widens your perspective and of course, creates memories of a lifetime! Memories you’d like to carry back with you, each with a little enriching story. The cricket enthusiasts might be planning a trip down under for the World Cup, like some of my friends are. 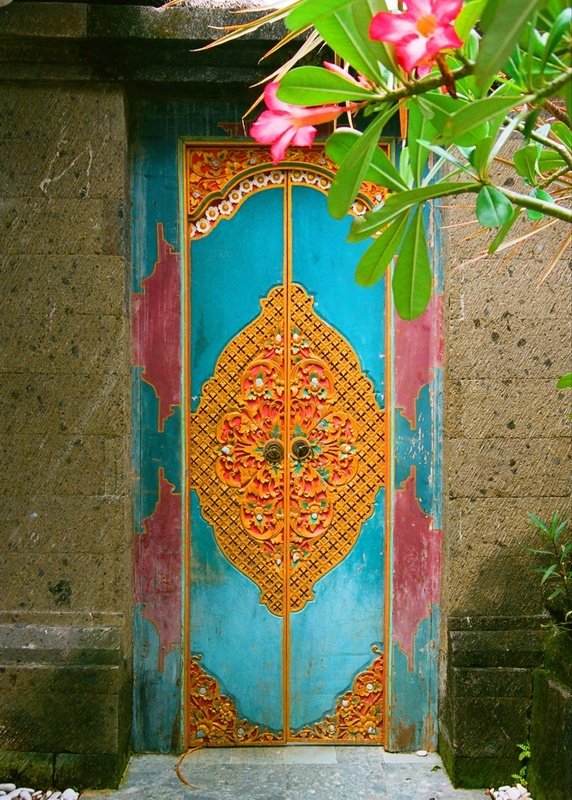 Since I have a weakness for tribal art and craft, let me take you through my top picks from New Zealand, Australia and Bali (no world cup happening there, but it’s one of my favourite places) that you can proudly place art from their in your home, and be like Lesley Blanch (an interior designer who was a pioneer of what we call ‘ethnic chic’). 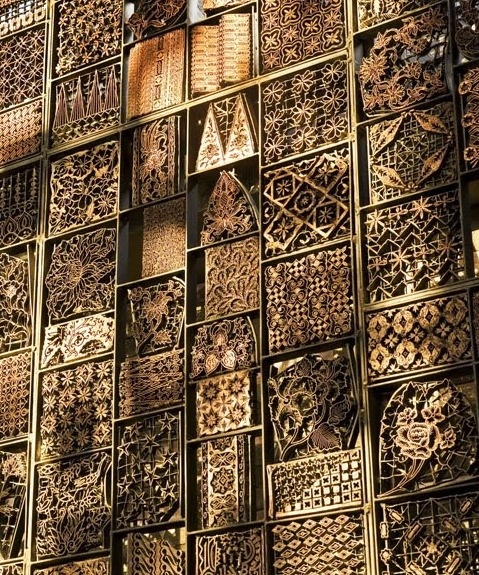 Explore the Maori art of wood carving and pick whatever catches your fancy (and luggage capacity) – a wall panel, totem pole, a flute, carved chain pendants or the ‘Waka Huia’ box also known as the treasure box. 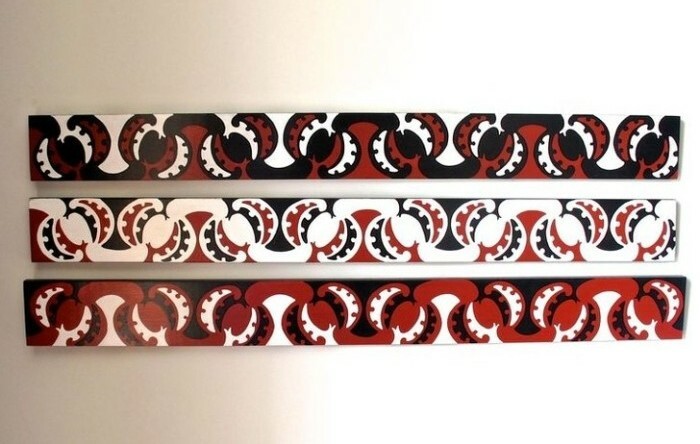 Alternatively, you could pick wall panels or lights with the typical Maori stamp, albeit an adapted version. 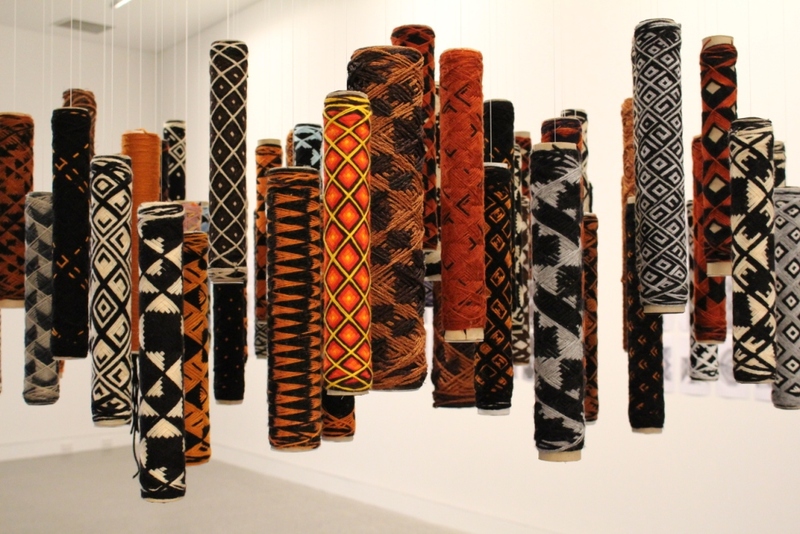 New Zealand Maori’s have been masters in weaving too with each pattern having it’s significance. 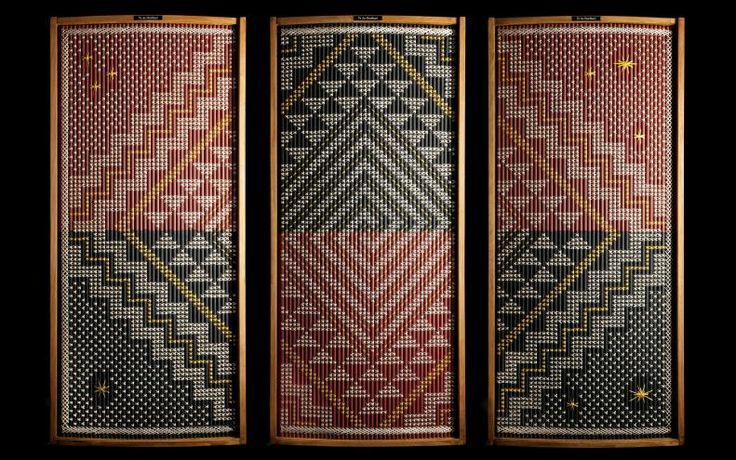 Consider getting woven panels, the Tukutuku, or wall hangings with Taniko (a traditional weaving technique) that is done typically on borders! 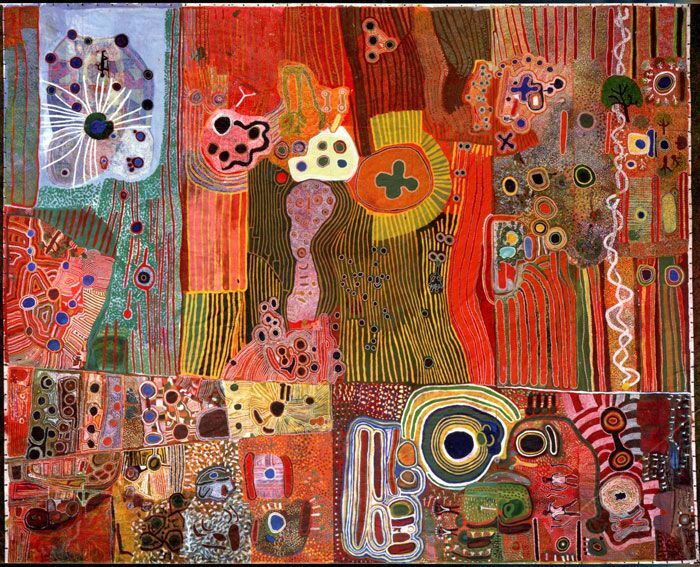 It reminds you a lot of the ‘Gond’ and ‘Bhil’ paintings from India with the characteristic dots, but look closer and you will be able to tell the difference. 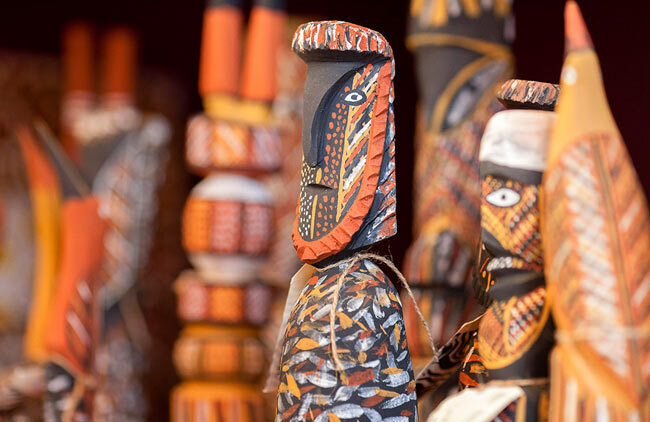 Just like any other tribal art form, the paintings are based on ancient stories of importance. The dots (sometimes called ‘over-dotting’) were used to obscure the secret iconography (symbols) underneath, encoding important messages from the new-age man. 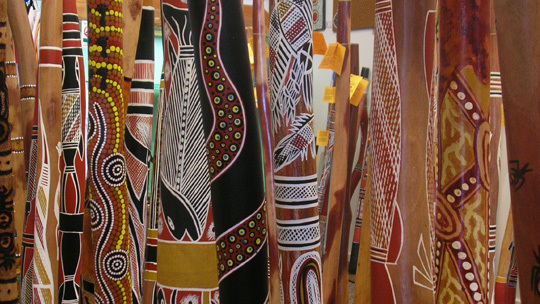 I would suggest the traveller to go to an Aboriginal Art gallery to see the variety, appreciate the craft, and then pick what catches your eye – Aboriginal art can be found on rugs, cushion covers, wooden statues and many more articles – so do visit one and see what makes you smile – and go for it! Here’s a video that tells you what it sounds like 🙂 if you don’t already know. 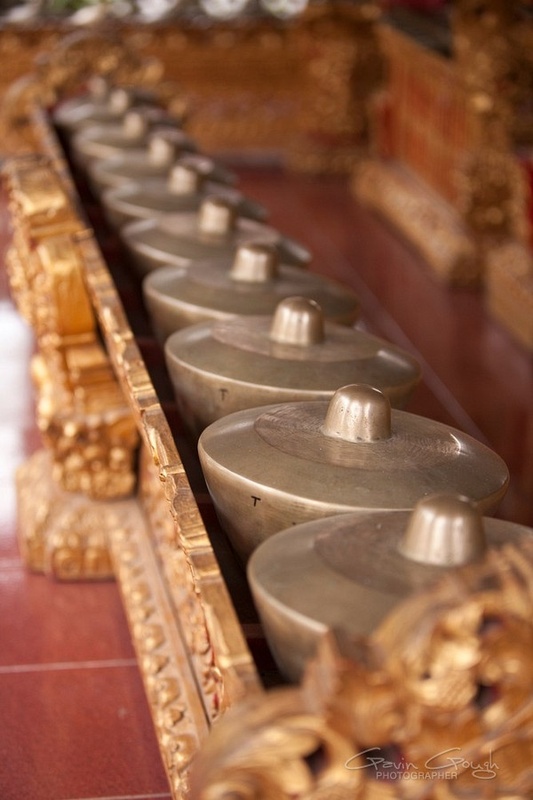 I am sure you have heard these sounds before! In all honesty, there are many more things that I could have picked, and maybe I haven’t done enough justice to the beautiful crafts from each of these countries. I will be on a lookout for more unique and interesting finds from these places and if I do, I promise to update this post. “The Indian traveller has matured and does not shy away from spending money for satisfying their wanderlust”, says the “2014 Holiday Spending Index”. 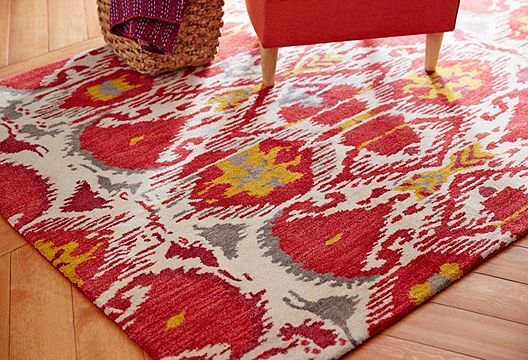 Well, I’d say definitely shop if something strikes a chord with your heart and you visualize it telling a story in your home – not to anyone else, but to you! Till our next post for the global traveller…. Happy travels to you!